U.S. officials say the USS Arizona Memorial at Pearl Harbor in Honolulu has decayed beyond repair, resulting in the permanent closure of the memorial. 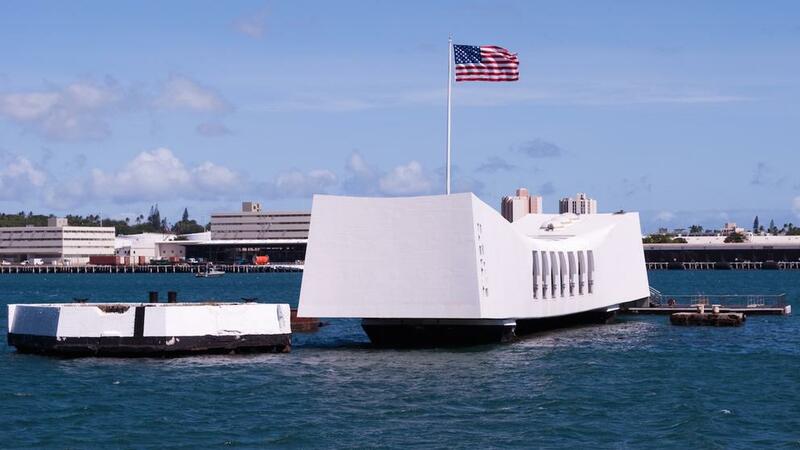 The damage was first noticed on May 6 when a transportation boat to the attraction noticed a crack on the outside of the memorial, according to Hawaii News Now. Repair crews worked to fix the crack while tourists were allowed to disembark at the memorial, but the cracks reappeared hours later. The reappearance of the cracks after the repair indicates a more serious issue. A spokesman for the World War II Valor in the Pacific National Monument named Jay Blount said, "There is a brow or an edge where the visitor ramp meets the memorial, and at that point, there's been some fissures located on the exterior." "After further investigation on the interior, it was determined that the structure is not supporting the loading ramp the way that we need," Blount said. Engineers are currently working to determine whether any long-term solutions could save the monument. A statement from the memorial staff released Friday said, "The amount of time needed to implement the repairs is unknown, but the (National Park Service) will continue to provide information to the public as our team of specialists works together to restore access as soon as possible." The other parts of the Pearl Harbor Visitor Center will remain open. The USS Arizona was a Pennsylvania-class battleship built by the United States Navy in the mid-1910's and was named in honor of the 48th state's recent admission into the union. The USS Arizona was the second and last of the "super-dreadnought" battleships and was commissioned in 1916. The ship was bombed during the attack on Pearl Harbor, and a powder magazine was struck causing the warship to explode and sink violently.